Reviews, product reviews, service reviews; We all want to read them, we make our decisions based on them. Sometimes we won’t even buy a product until we’ve found a review on it. And this is the problem. A problem for us at least and more than likely every other company. Hardly anyone writes them! The ratio is staggeringly low when there is a good experience, if it’s a bad experience, surprisingly it’s less! We’d like to reward you for taking the time to write a review on our service or product in the hope we can increase the ratio. After you have bought a product and we have delivered it we give you a couple of weeks to enjoy it and we then send you a Review Request via email. As a thank you for your time in writing one we will send you this three piece LED Light set. We send you this Three Piece LED light set as a thank you when you write a review on products you have bought. We also offer a free gift in return for picture sets of our products and at the moment we have an item that’s very different to our usual gifts, a wood covered power bank! Finished off with an engraving of our Tuin UK logo, help spread the word of Tuin while staying charged, with an estimated battery life of two hours with constant charge. Wooden casing, with the Tuin UK logo engraved. 2 x 5V1A USB ports – Suitable for mobile phones and small devices. Micro USB input port for charging the power bank. 5 LED light indicators to show the remaining battery capacity. On/Off button at the top of the power bank. Battery type- 5000 mAh Li-Ion. Each LED light represents 25% of battery capacity – The 5000mAh battery allows you to charge your phone more than once! Some customers kindly send us walk through videos. Examples of them can be found on various product pages. Here’s a collection here: Customer Walk Through videos Please see these examples. If you fancy sending us a video of your product like these that we ask to use we will refund you £50 as a thank you via Bacs or cheque. £50 for a video walkthrough of your product – not a bad deal for a few minutes of video? This is a very limited offer and can be withdrawn at any time. This entry was posted in Sales and Offers and tagged Free, gift by Richard. Bookmark the permalink. We research deferent cabins and found tuin was the best deal the service was first class delivered to the door. The cabbin was up in two days it looks great. First class to tuin for producing a first class product will recommend to all. 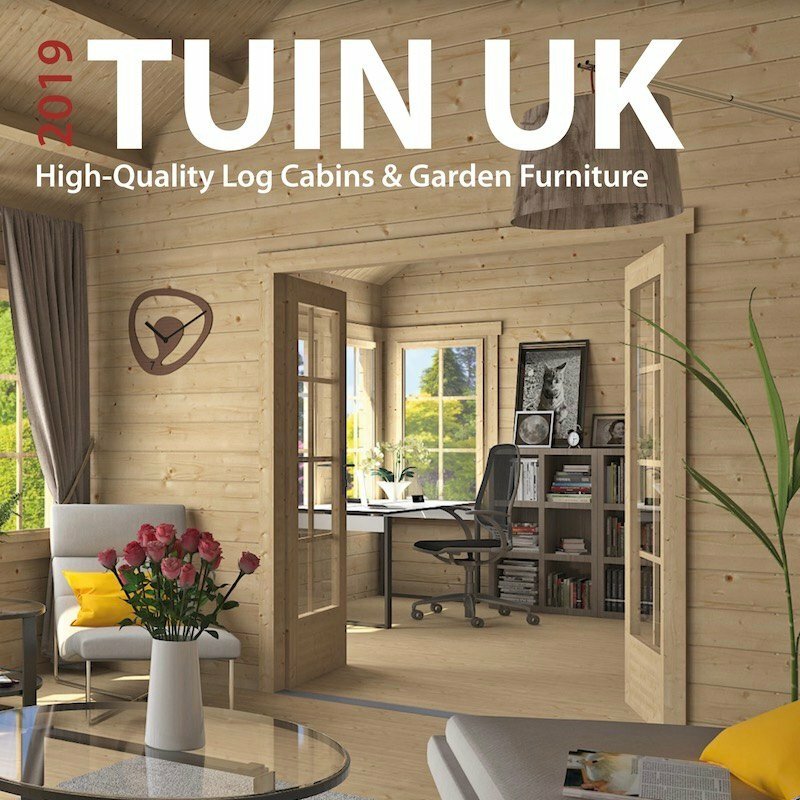 We spent a long time researching log cabins and also visiting various show rooms to get ideas, we finally settled on one from Tuin, used a carpenter recommended by tuin and we love it, it is sturdy and warm inside, which I suspect is because of the 42mm thickness. 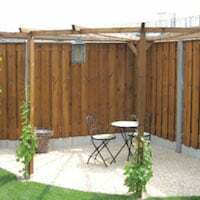 We were so impressed that we have recommended tuin to family and friends who are also looking to buy a summer house/ log cabin. 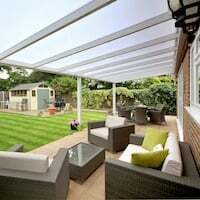 We researched summer houses for a couple of months before placing an order for a ‘Lynne Summer House l must admit that your website, specification order system and delivery have been second to non. We took delivery in January and wanted to form the foundations of this octagonal summerhouse exactly to size. It soon became clear that all the angled joints of the base frames had been cut very accurately, when assembled the whole frame was absolutely right! In all directions. 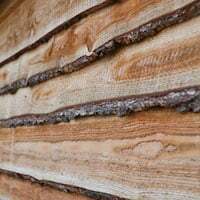 The weather has been so inclement that all the timber is still stacked in my garage ready to start. I am a cabinet maker by trade and l do appreciate the design, quality of the timber used and high quality of the manufacture of the engineered components. 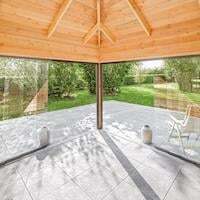 I am really excited and looking forward to starting and assembling the summer house. I will send you photos of the finished job. The whole experience was faultless from start to finish, amazing value for money. We bought the Yorick cabin and my husband and a friends son built most of it in a day. 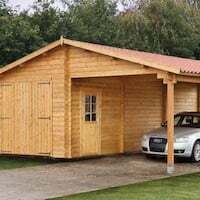 Tuin cabins are made of good quality wood and easy to put together, we would highly recommend them. First contact with Tuin was so positive staff were so helpful with my decision on which Cabin to purchase and did not go for the hard sale. They listened to my needs and suited the cabin to them instead. Delivery was painless and the gent ensured the cabin was tucked out of the way until ready to assemble. WOW how easy was this Peter 3m x 3m to assemble! The instructions are easy to follow especially with all of the advice on their website as well. The Cabin just slotted together, our chappie was a lil baffled about putting the insulation on then the tiles but one quick call to Tuin advice and he was off again. Our chap said the slowest part was putting on the ‘free’ roof tiles. The tiles seriously make this cabin look very special. Seriously would buy from this company again and highly recommend to others. – our chap who put it together is now planning to buy his mum one! We bought our cabin in January which is fab. 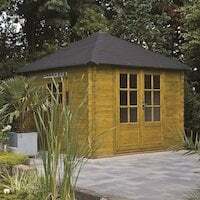 Recently we wanted to re-roof our original shed and contacted Tuin to ask if we could buy the same shingle that we have on the cabin. They were very helpful and gave us a really good discount on the purchase. 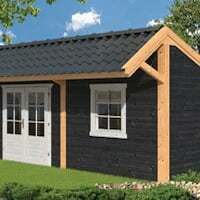 We’d seen similar log cabins elsewhere but chose Tuin because the feed back was mostly positive. We are not disappointed! Tuin provided over and beyond great customer service when my husband was rushed into hospital when delivery was due. Their communication was quick, personal and sympathetic to our situation. The log cabin arrived this week and on unpacking, the quality and manufacturing look fantastic! All’s well now, so we begin the build today! A huge thank you to everyone involved in our purchase! 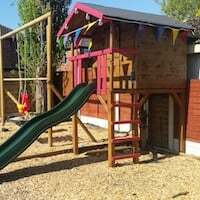 We ordered a shed and summer house from Tuin and apart from a slight hiccup with delivery when we got it the following weekend, we had both erected within two days and are extremely pleased with them. Very impressed with your service . From ordering to delivery was very smooth. The erection instructions were very very easy to follow and the cabin went together very easy. 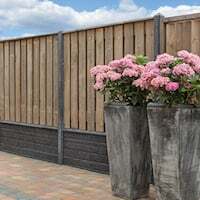 I have recommended tuin to a number of my friends. 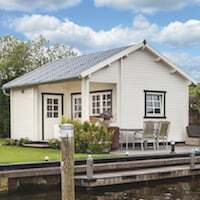 I has serious misgivings about getting such a big and solid cabin for the price, and also that it could be delivered to such a tightly congested area. Your support staff answered all my emails and reassured me that there was no problem. They were right. Very impressed! 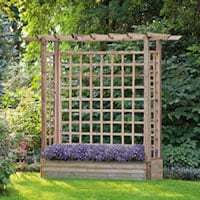 The quality of the unit far exceeded expectations and works great in the garden. A good value and painless purchase. Can’t wait to see the product assembled. 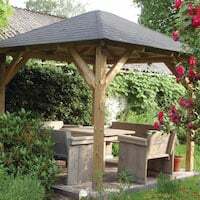 I ordered a larch gazebo which has now been assembled and I am absolutely delighted with it, a very sturdy construction. This is a great product and would recommend your company in the future. This was a fantastic buy the cabin is awesome the fitting an construction was easy to put together.the delivery was on time the driver couldn’t of been more helpful an very professional when putting the pallet on the drive..all in all from online order to deliver this company is brilliant..
We found your copy via Google very easy, Found the gazebo we looked the like of, then rang you and spoke to a very helpful lady who took our payment over the phone. We required the gazebo with in a week of ordering it. This was not a problem, your lorry with its own forklift delivered direct from Holland. Would we use and recommed your company yes we would. We have pictures of the lorry delivering to the final being fitted on top of the gazebo, i’m more than happy to share, Please let me know how. Thanks, keep up the great work, Also happy to do a walk round video, not sure how to send but could upload to my youtube channel, Cheers, Chris Ross. Thank you for letting us know. We do have some very experienced people that work with us.